There are about 20 butterflies (and wings) on this necklace, and each one measure from 3 to 10 cm. 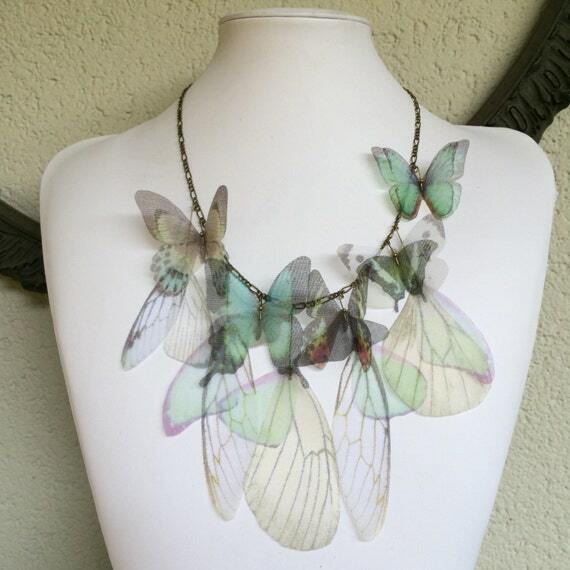 The necklace shown is sold but a new one, very similar but always ooak, will fly to you! I chose dragonfly images one by one, from real pictures and vintage illustrations. 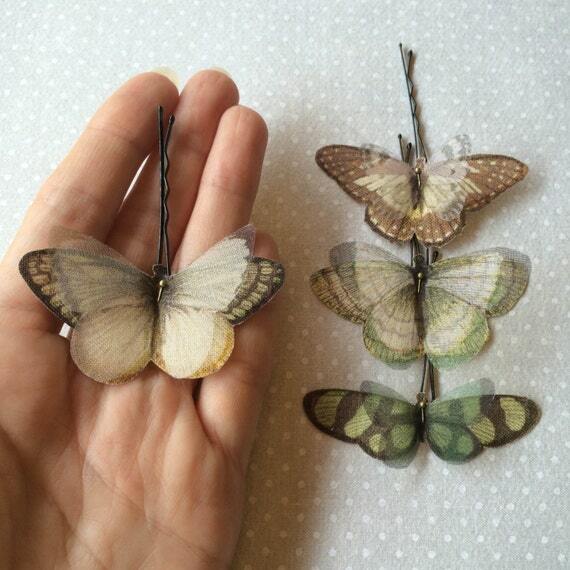 Then I printed them on high quality silk and silk organza, cut, sealed and fixed using antique bronze findings. Dragonflies bobby pins are very delicate. You can wear them on your hair every day but don’t stretch butterflies, don’t wash (also if they are waterproof). 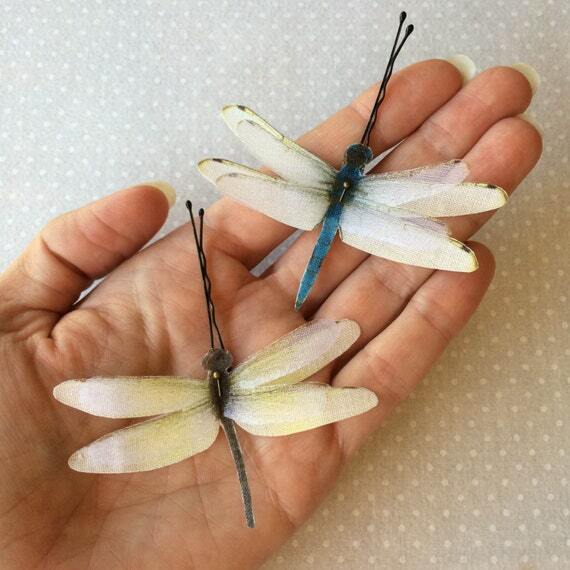 My bobby pins are made using 2 dragonflies: one in cotton BIO and one in silk organza. Your favourite dragonfly will fly to you with Priority airmail (Poste Italiane service), cheapest and fastest way but not trackable then I highly recommend to choose Registered airmail. 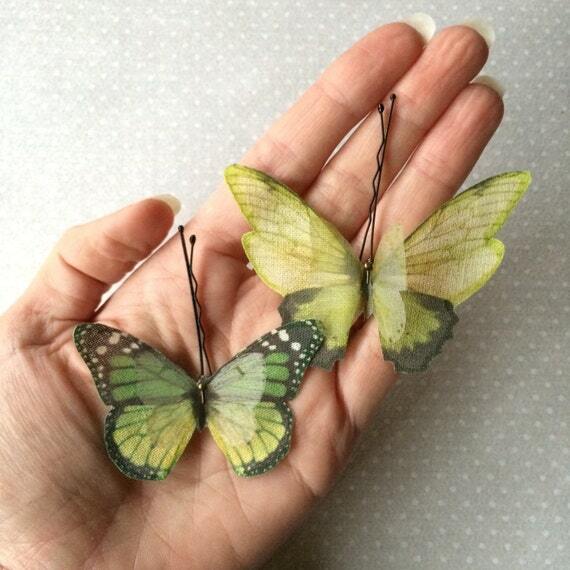 Lovely hand-made bobby pins with GREEN butterflies. 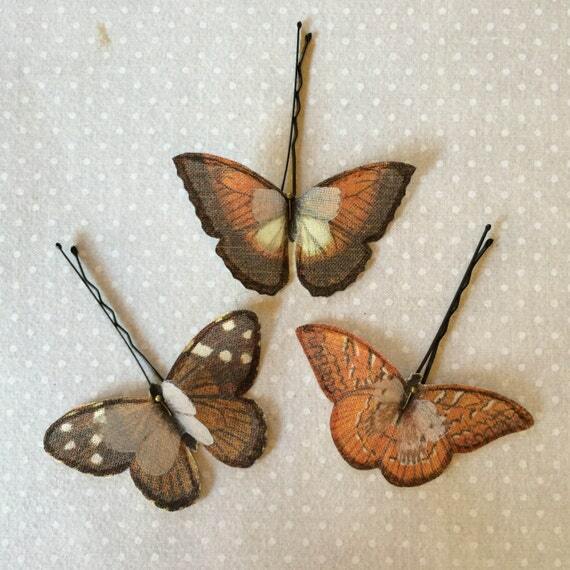 Lovely hand-made bobby pins with RUST, BROWN and IVORY butterflies.